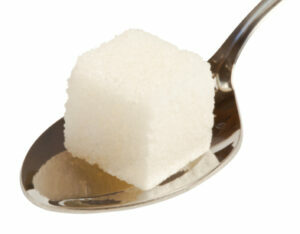 Recent news has revealed that sugar, not fat, is enemy number one for those trying to lose weight. For many of us, reaching for a sugar fix in the afternoon is a habit that has been ingrained in our lives since childhood (remember those high-sugar snacks you ate after school? ), but now it appears that it may be more than a bad habit – it could be an addiction. The pattern of avoiding and bingeing can lead to addict-like effects and studies have shown that sugar affects the same ‘feel-good’ hormones as street drugs. So while a cheeky afternoon doughnut isn’t the same as a heroin addiction – it can still mess with your body and brain. 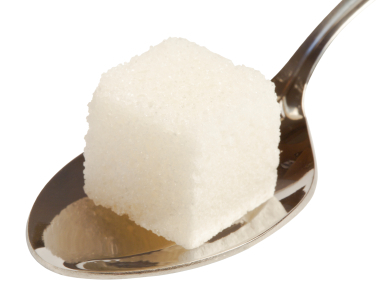 Anyone has the potential to use sugary foods in an unhealthy way, but how do you know if you have an addiction? You may find yourself losing control when you get the taste for something sweet, leading to a binge. You may feel agitated and down if you miss your after-dinner dessert, or you may even feel shaky and anxious when you try to cut out sugar. What happens to your brain on sugar? Overloading on sugary foods has been shown to alter the parts of the brain that control how much you eat – this could lead you to overeat. Studies have also shown that just looking at images of sugary food can trigger brain effects similar to drug addicts. Suffice to say our mind has a profound effect when it comes to diet. How can you cut down? While there are some diets out there that promote cutting out all forms of sugar, this is difficult to maintain and may lead to frustration and a sugar binge. Instead, trying to cut down slowly and retraining your taste buds can help. Try cutting out one sweet food a week, over time you will find you no longer crave the taste. Opting for healthy sweet foods such as fruit and natural yoghurt is another great step to take, try replacing your usual sugar fix with fresh fruit and see how you get on. If you’re hungry, you are more likely to reach for high-sugar foods, so be sure to include high-protein meals in your diet to help you feel fuller for longer. If it is the habit side of things you are finding hard to kick, it may be worth seeking the help of a professional. A hypnotherapist dealing with food addiction can help to break negative habits and re-programme the mind in a healthy way. To find out more, please see our food addiction page.